Newsday's Owen O'Brien selects 10 girls soccer players to watch this fall. Grace Bernardi, Massapequa, M, Sr.
A defensive-minded midfielder who also dictates play by orchestrating the Chiefs’ offense. 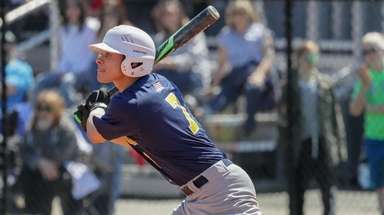 The four-year varsity player looks to lead Massapequa to its sixth straight state tournament. 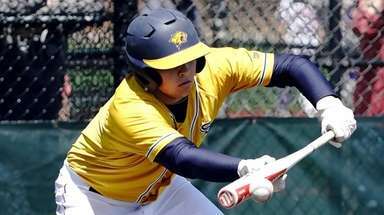 Nicky Constant, Shoreham-Wading River, F, Sr. Finished second on Long Island in goals (29) and points (42), including scoring the tying goal in the Suffolk A championship game, which the Wildcats went on to win. 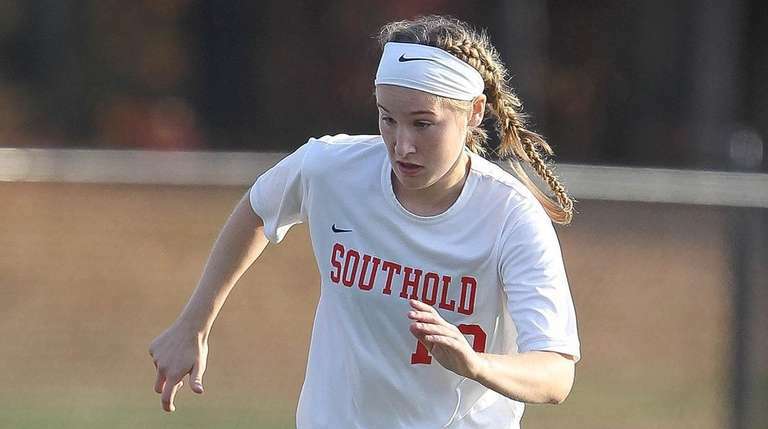 Jillian Golden, Mattituck/Southold/Greenport, F, Sr.
Golden, of Greenport High School, led Long Island in goals (33), assists (16) and points (49) last season for the Long Island Class C champions. With the program combining with Mattituck and moving up to Class B, Golden hopes to lead her team to another title. Gia Inzerillo, Eastport-South Manor, F, Sr.
After leading the Sharks to the Suffolk AA championship game as a No. 10 seed, Inzerillo finished with 19 goals, including one in both a Suffolk AA quarterfinal and semifinal. Caitlin Kennedy, Sacred Heart, F, Sr.
A two-time All-Long Island selection, she has scored 37 goals with nine assists over the past two seasons, including 20 goals as a sophomore when Sacred Heart won the CHSAA state title in 2016. Kayla Leary, East Meadow, D, Sr.
One of the toughest defenders in Nassau, she utilizes her speed and rarely loses a ball in the air. 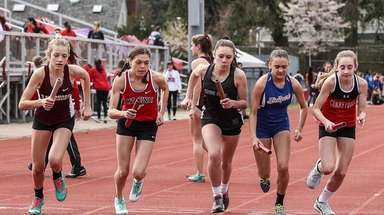 The senior looks to lead East Meadow to its first county title since 1990. Jordyn Levy, Half Hollow Hills West, F, Soph. Had 21 goals and six assists in her freshman season, and is already one of the most dangerous players on Long Island with the ball at her feet. Brianna Passaro, St. Anthony’s, F, Sr.
She led the CHSAA with 20 goals and 10 assists last season as the Frairs won the CHSAA state title. She scored in every game except two last season, including scoring two goals with one assist in both a state semifinal and the championship game. Stephanie Sparkowski, East Meadow, G, Jr.
With incredible length and athleticism, Sparkowski helped lead the Jets to the Nassau AA semifinals. With one of the strongest legs on the team, she will often come out of net for free kicks, and even had two goals and two assists last fall. 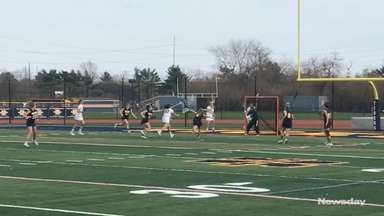 Cailey Welch, North Shore, F, Sr.
With the speed to blow the top off a defense, Welch led the Long Island Class A champions with 19 goals and 23 points last season. She will take on a larger role this year.